Come and join us at our unique surf house at the end of the (old) world-Sagres. All our rooms are situated on the ground floor of a cool & friendly surf house in the center of Sagres and can be booked as private, or shared. There are single, double or bunk beds with new mattresses and fresh linens. We share common areas as kitchen, dining room, terrace, or BBQ area.. There are three bathrooms for five rooms. The maximum capacity of the surf house is 15 persons. Free WIFI, breakfast, linens, towels are provided. Each of our room is named after beautiful surrounding beach. Free parking for you is just next to our surf house. 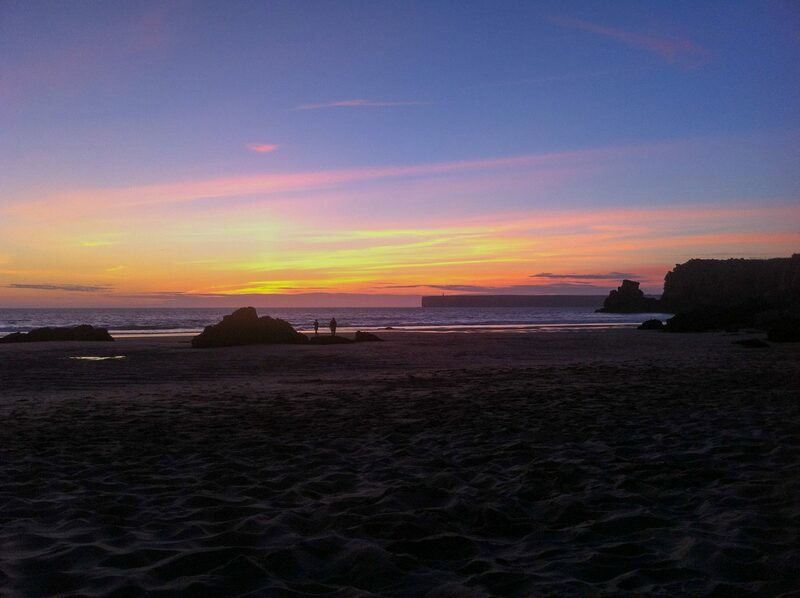 We are located about 3 minutes from the closest surfing beach, 5 minutes walk to the closest supermarket, down town bars and restaurants, 10 minutes walk to harbour with the best sunrise and 3,5 kilometres away from the cape Cabo de St.Vicente-the most south west point of Europe where you can enjoy absolutely stunning sunset. Stylish Double superior | Triple room BELICHE or MARETA accommodates up to four persons. There is one single bed, which can be extended to double bed and then one bunk bed. The room could be booked as private or shared. Ideal for group of friends or couples. The surf house went through a major renovation in 2014, in order to improve your comfort and wellbeing. In our surf house there are 5 rooms (2 to 3 beds) 3 shared bathrooms, cozy common area of living room and dinning room leading to the terrace, 2 fully equipped kitchens and 3 terraces with chill-out zone and BBQ will make your stay with us relaxed and enjoyable. Triple room ZAVIAL accommodates comfortably up to three persons. There is one single bed and one bunk bed. The room could be booked as private or shared. Stylish Double | Twin room INGRINA accommodates comfortably up to two persons. There are two single beds, which can be put together like a double bed. The room could be booked as private or shared. Cozy Twin room TONEL accommodates comfortably up to two persons. There is one bunk bed. The room could be booked as private or shared. We teach you how to surf! We are based in Sagres, a place privileged by mother-nature, with coastlines facing both South and West. That is the reason why the area is known for having the highest swell consistency in all Continental Europe.